Home > After Repossession > What Happens When Lenders Sell Repossessed Properties? There is a common misconception that mortgage lenders auction off repossessed properties at rock-bottom prices. In reality, mortgage lenders have a legal duty to the borrower to sell repossessed properties for the best price they can get. When a property is repossessed by bailiffs they will change the locks, shut off utility supplies and ensure that taps and cisterns are not going to leak. The bailiffs’ responsibility is to physically repossess the property and ensure that it is secure. Whilst it would be contrary to their duties to damage a property, bailiffs’ activities would not win them any home-improvement prizes. It is usually obvious when a property has been repossessed and it is likely to attract lower offers as a result. Many borrowers find it frustrating that there may be a delay between a property being repossessed and subsequently sold. This can be particularly galling if a borrower was denied the time to sell the property themselves. There are many reasons why a mortgage lender may take time to sell a property – they may have many other properties to sell or be waiting until property prices rise. If a mortgaged property is occupied by authorised tenants when it is repossessed receivers will be appointed by the lender to administer the property. After repossession, the tenants may be allowed to remain in the property under the terms of their original tenancy agreement but should pay the rent to the receivers rather than to the landlord. The mortgage lender will usually start a repossession case against the tenants so that the property can be sold with vacant possession. The mortgage lender will have to obtain a court order before the tenants can be evicted resulting in an inevitable delay in the sale process. To satisfy their duty to get the best price they reasonably can, a mortgage lender should place a property on the open market. Whilst a repossessed property may be sold at auction many are marketed in the usual way through estate agents. Once an appropriate offer has been received on a repossessed property advertisements may be placed by the agents inviting higher offers before exchange takes place. 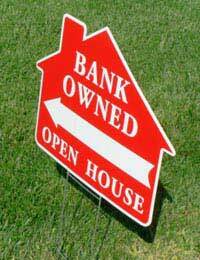 Mortgage lenders also have a duty not to incur unnecessary costs when they sell a repossessed property. If a borrower believes that a mortgage lender has failed in their duty to get the best price they can for a repossessed property they may bring their own case against the lender for damages. These damages would probably be the difference between what the property should have been sold for and what it was actually sold for. A similar case could also be brought if a borrower believes that the costs of the sale were too high. A borrower has six years from the date of the mortgage lender’s failure in which to start a court case. However, as with any court case there will almost certainly be potential costs implications so caution should be exercised before rushing to court – especially if the breach is not substantial. When a mortgage lender sells a repossessed property the sale proceeds must first be used to redeem any prior mortgages on the property. The lender will then use any of the sale proceeds remaining to clear their own debt. However, the lender will also use the sale proceeds to discharge any costs or fees which they have incurred during the repossession or sale process. These can easily add thousands of pounds to the mortgage debt – taking a substantial bite out of anything left over. When the mortgage lender has cleared the mortgage debt and their costs the balance of the sale proceeds will be passed to the borrower. Repossessed properties may be sold at a price which does not cover the mortgage debt and all of the lender’s costs. The borrower will remain liable to pay any shortfall between the sale price and the mortgage debt and costs. A mortgage lender can usually wait up to 12 years before starting a new court case to recover this debt. In some circumstances a mortgage lender may be able to wait even longer before taking the matter back to court. This could apply if a borrower admitted that there was a shortfall, or made payments towards it, after the property was repossessed. My house withnorthern rockwas repossessed in 2006 i just walked away and left it never told bank or anybodyand it sold for nealy double the price the mortgage was for i also have a couple of loans with it but years later my wages was arrested and i paid back about 20k to loans what im wondering how do i check if im due anything back from northern rock now they no longer exist? Contact the mortgage company, if the home was in joint names, they will be able to tell you if there was any thing left after the mortgage and all fees were paid. These proceeds should have been split between the two of you. My £240,000 home was sold off by the Bank Christmas 2012 for half its value. Sadly the shortfall didnt cover the bank business loan for the fish & chip shop, mortgage and associated debt so i became a social hermit. Its probably too late too claim. Ironically my little daughter drew Baby Jesus comfortably in a crib that Christmas. I co own a property in dunstable thats worth aproxametly 280,000 - 300,000 I owe 115,000 I've split up with my ex who is still living in the property I was awardedcustody of our two girls as they suffered neglect in their mothers care. My ex refuses to move out or let me sell the property, and as I've spent £1000,s taking her to court to get custody of my girls I have nothing left to take her to court to have her removed/ sell the house. I'm paying £1300 a month for a house me and my children don't live in and can't afford it anymore. I was considering letting the house be repossessed as my credit history is terrible anyway and was wondering how long and what costs would incur? Could anyone shed some light on my situation? Hi I had a mortgage on a house in 1999 for 20000 I had it for couple of years and had a loan of 18000 aswell it was with rbs I went through depression and ended up giving the keys bk to the bank and they sold the house for 75000. Then a couple of years later the rbs put a charge on a house I was selling for the 18000 and took the money. I thought when they sold the house I had the mortgage on with them the price they got for it would of covered the 18000 loan never got a penny back and tried speaking to them and just get passed to different people all the time. Do you think all there costs came over 75000 the mortgage was for only 20000. Find out why this debt is being chased now - seek help from a debt adviser (Citizens' Advice is a good place to start). If you are indeed responsible for the debt, you should be able to come to an arrangement to pay off the debt by instalments. My property was repossessed and sold by the mortgage lender in April. They have now passed on surplus funds of 170K to the housing association that jointly owned 50% percent and is entitled to 150k. However the housing association is taking a long time in giving me surplus of 20k saying they need to search if I had bankruptcy/ IVAs in the past and this takes time. Q1) how much time it takes for these kind of searches? Q2) do they need to make these searches as I thought there responsibility is limited to loans secured on the property? My rented flat may be getting repossessed would I be able to negotiate with the lenders about buying off them before being evicted ? You could trybut it's not always that straightforward, you would be better to speak to a legal professional for advice. My rented flat may be getting repossessedwould I be able to negotiatewith the lenders about buyingoff them before being evicted ? Any debts relating to the mortgage are removed from the title when a mortgage lender sells after repossession. Letters from other organisations demanding payment in relation to other debts might still be sent to this addres though. The new owners should refer these back to their conveyancing solicitor to explain that the house is sold etc. Thanks for response , yes there was surplus money after house sale and my name on mortgage , I can not be contacted /found how can I find out where money is not knowing who the lender was. How do you not know who the lender is if your name is on the mortgage? Your old bank statements might help? Thanks for response , yes there was surplus money after house sale and my name on mortgage , i can not be contacted /found how can I find out where money is not knowing who the lender was . My house was repressessed a few years ago , I know I have money due to me from sale. How can I find where it is as don't know lender ( mentally abusvive husband would not say ) I have changed address a few times and would/could not have been contacted. You don't get money from the sale if your home is repossessed unless there is a surplus after all the money owed to the lender has been repaid. If there is a surplus it is returned to the borrower. If the borrower cannot be contacted, the money will either be held by the court or your lender until you can be contacted. If your name was not on the mortgage, it's unlikely you will be able to claim any surplus without legal help. My house was repressessed a few years ago , I know I have money due to me from sale . How can I find where it is as don't know lender ( mentallyabusvive husband would not say ) I have changed address a few times and would/could not have been contacted . Yes this is common practice if you do not keep on top of your mortgage payments. Hello My home was repossessed 8 years ago and I never knew what the property sold for. Last year I discovered I could maybe claim for some of the excess charges levied on my account at that time.After waiting for a full year to receive documents from my SAR . Buried away towards the back of a very large stack of paper I spotted " O/paid redemption proceeds" Given that I would very much like to receive this money, what rate of interest should I claim? Thank you. My home was repossessed eleven years ago, it was sold and the mortgage paid off,but I don't know how much it sold for. How would I find this out and if there was any surplus should that be refunded to me. If the sale resulted in a surplus it is returned you. If you cannot be contacted, the money will either be held by the court or your lender until you can be contacted. Sometimes they have to make decisions based on how quickly the property can be sold etc. There is nothing in law that says a vendor should accept the highest price. We really don't have sufficient detail to advise on this. You should take this to Citizen's Advice etc.